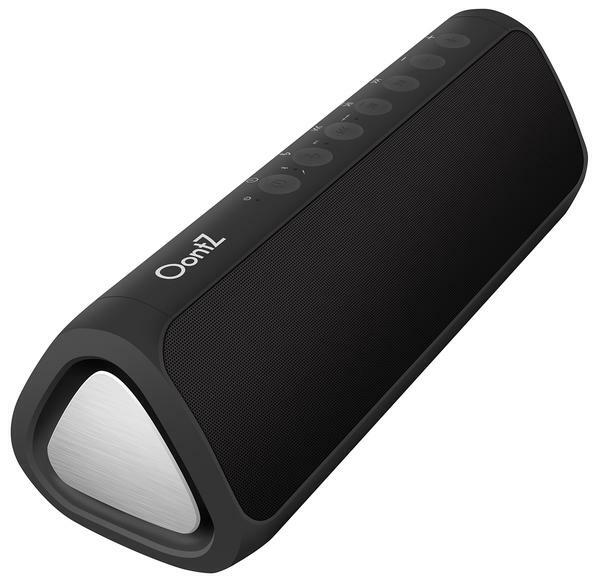 Wireless Bluetooth speakers are very popular in the market right now. These wireless speakers let you enjoy your music without the annoyance of tangled wires using Bluetooth technology. Many favorite brands offer their wireless speakers over $100. Some people prefer to buy them because they think that the quality is more assured with known names. Unfortunately, some people have a tighter budget and would prefer to find wireless Bluetooth speakers that cost less than the high prices offered by some better-known manufacturers. Erase the thought that if it’s cheap, it isn’t quality-made. The wireless speakers may not have extra features other than the basics, but they still can satisfy your music needs. 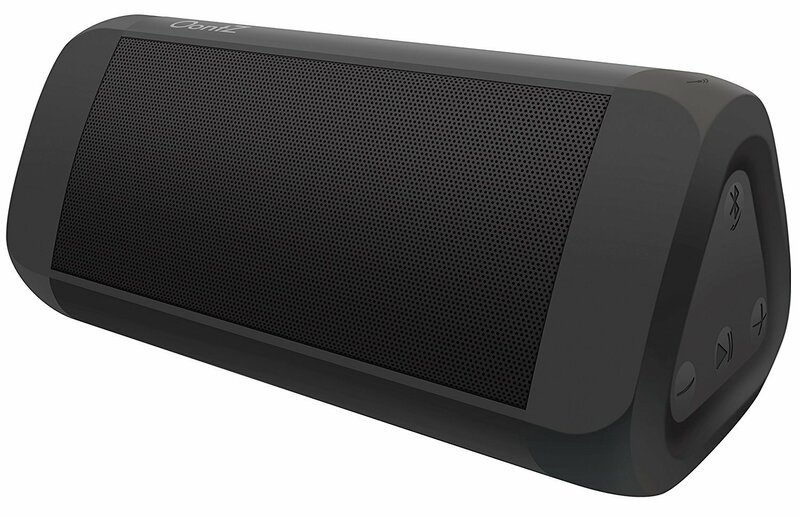 To help you out, we’ve listed ten wireless speakers under $50 in a random order. You might find one that suits your wireless speaker needs. 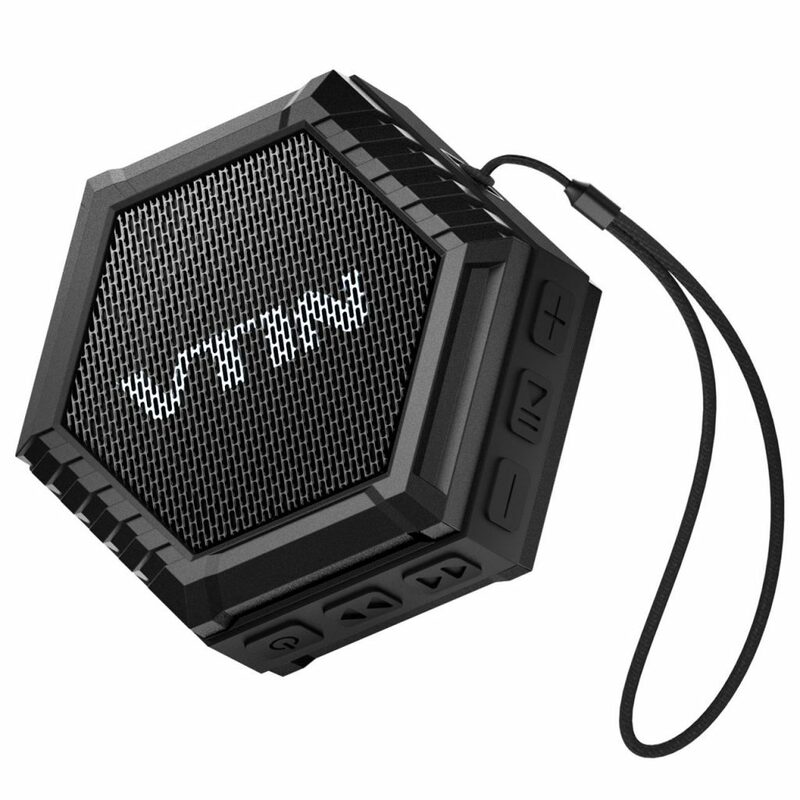 The VicTsing Vtin Bluetooth Waterproof Speaker is a budget-friendly small speaker that does wonders. You can conveniently listen to your chosen tunes while in the shower or nearby the pool as it is IPX4 water and dust resistant. It’s a hexagon-shaped speaker with a mini strap for easy portability. The aluminum mesh, sturdy plastic, and silicon build of the speaker guarantees durability. The buttons that control the power, playback and volume are located conveniently on the outer part. 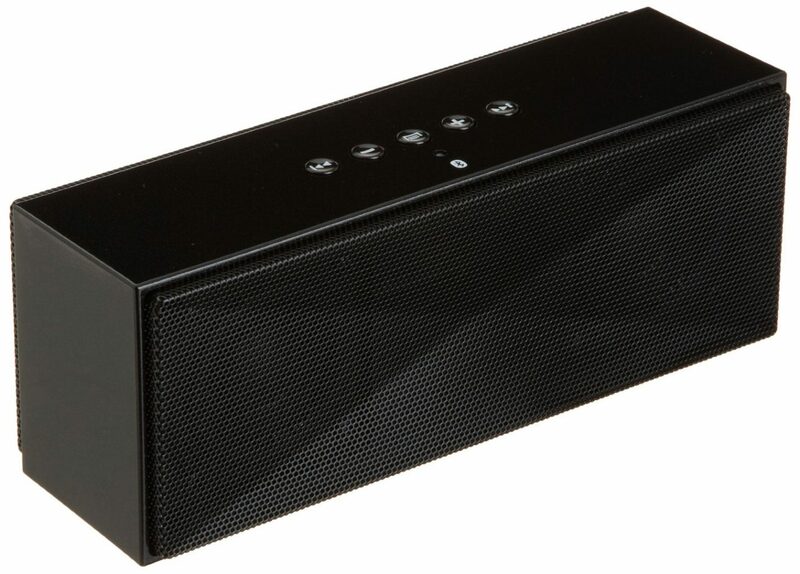 Another wireless speaker under $50 that is sure to excite you is the DKnight MagicBox II. 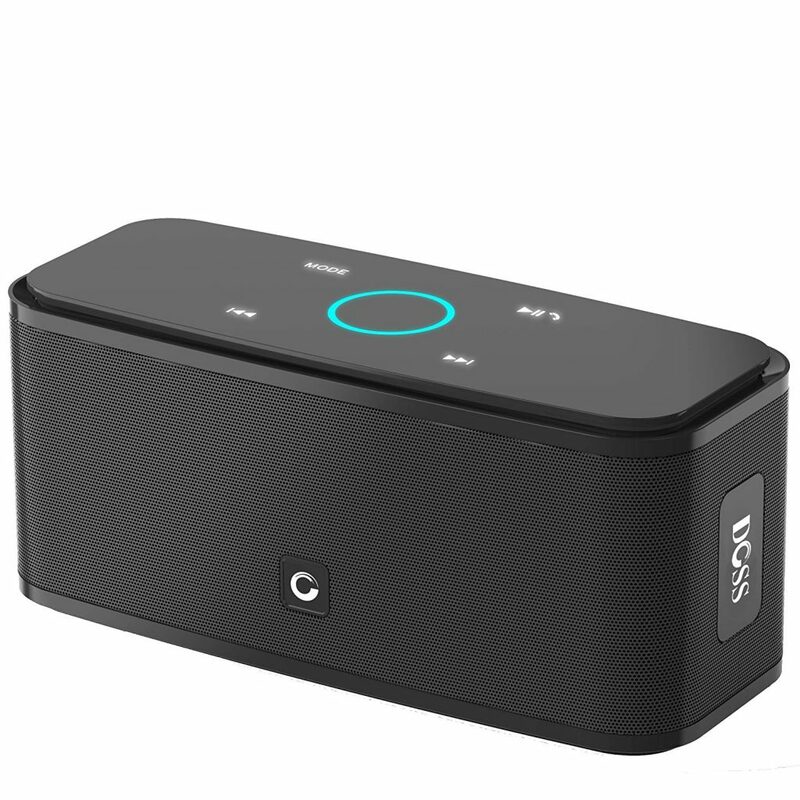 This restructured version of the MagicBox is equipped with 10-watt acoustic drivers to deliver a wide-ranging audio. The advanced passive radiator allows you to enjoy satisfying bass without distortion even when used at a maximum volume. The bass is too good that it needs a BassPad (included). You can find the rubber buttons on top of the speaker to manage the playback and volume. The power button, 3.5 mm input, and charging port are on the left side of the speaker. 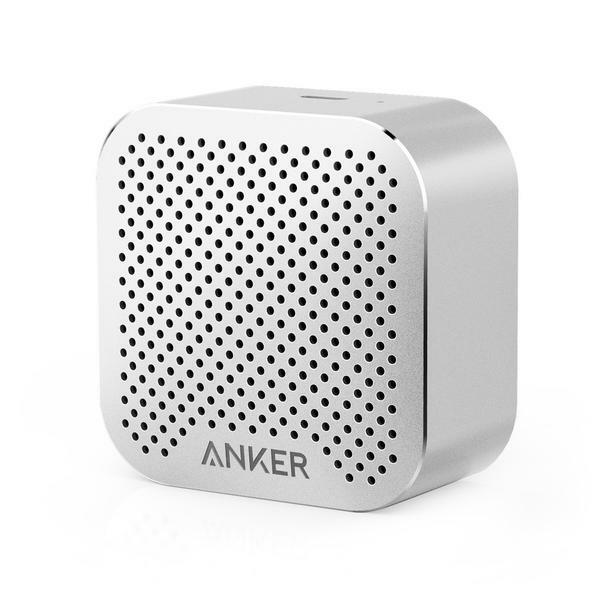 The Anker SoundCore Nano is a tiny and affordable wireless speaker. With a 2.1 x 2.1 x 1.1 inches dimension, a weight of 2.9 ounces, and a hand-strap, you can surely bring this speaker wherever you are. You can just quickly put it your pocket or hang on your arm. The aluminum alloy exterior makes it a sleek and durable build. Don’t mistake its small size and low price for a bargained product. 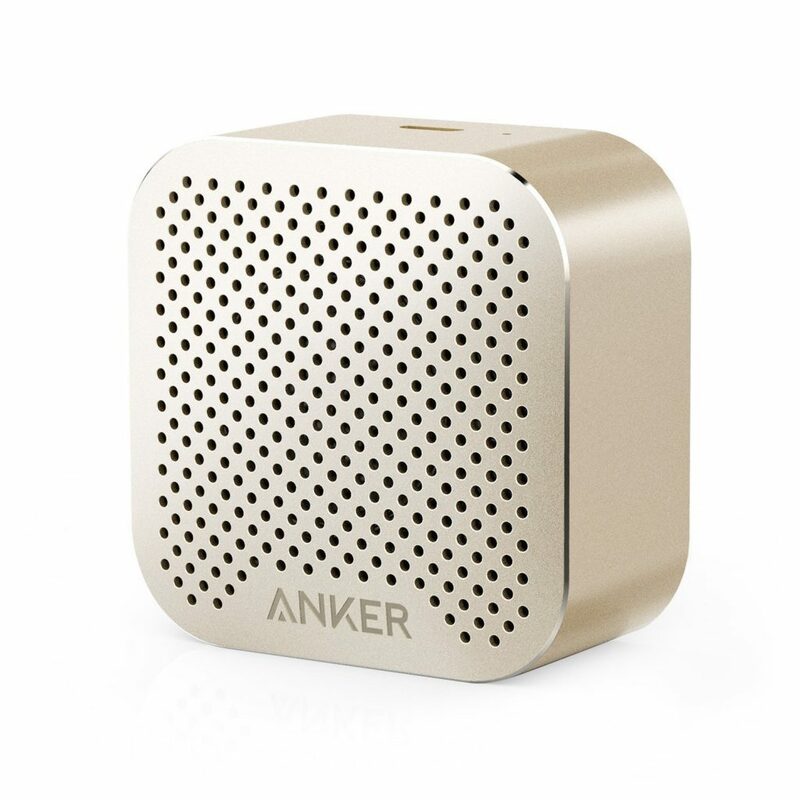 Anker SoundCore Nano is sure to give off clear audio quality through its 3W audio driver. The Gracety waterproof portable speaker is a wireless speaker under $50 that best suits you if you love underwater activities. With its high waterproof IPX7 technology, it can be submerged up to 3 feet under water for 30 minutes without worry. If you want to let it float with you in the pool, yes you can. It’s designed to float for at least 24 hours so you can enjoy music while swimming. The soft ABS covering of the speaker makes it dustproof and shockproof. How does it sound? It produces audio pretty clearly with high-fidelity and a sound that can fill a room. Have unexpected calls while streaming music? Stress no more! This wireless speaker has an integrated microphone for hands-free calls. Choose your preferred color: black, white, red or blue. The AmazonBasics Portable Bluetooth Speaker is one good catch. It has two internal 3W audio speakers that deliver a sustaining sound quality that feed your music soul. You can connect this speaker to any audio source through a Bluetooth connection. It has a maximum range of 30 feet. If the audio source has no Bluetooth connectivity, just simply plug the 3.5mm stereo cable from the speaker to the device. You can optionally buy the speaker itself, or purchase the speaker with the bundled 3.5mm cable. You can find the playback, Bluetooth, and volume control buttons on the top part of the speaker. The charging port, AUX input, and power button are on the left side. The Omaker M4 is in the market for a while, but it’s still one of the best wireless speakers you can get under $50. 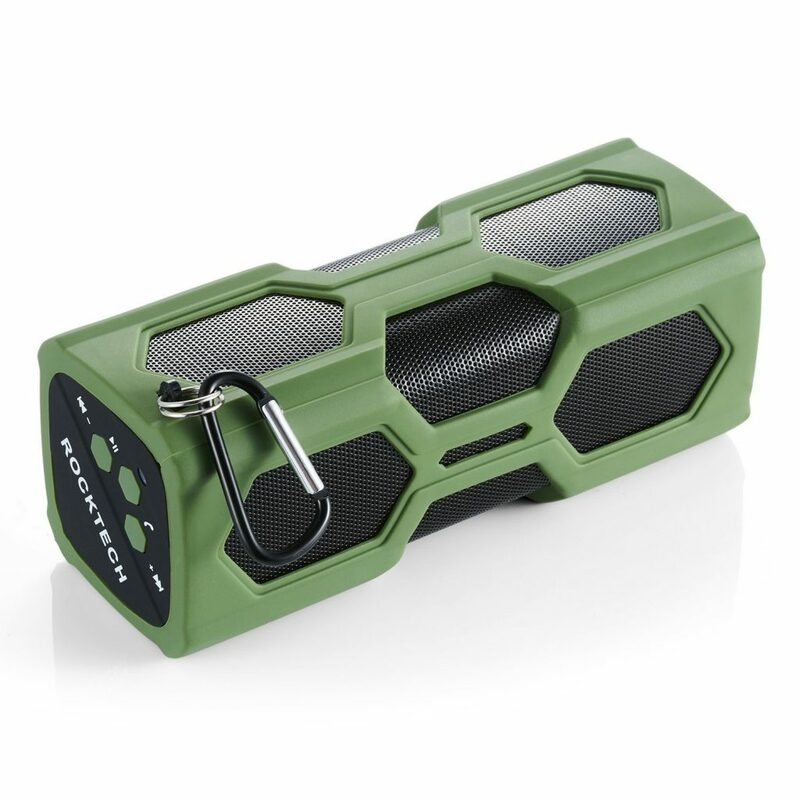 It’s a perfect wireless speaker for outdoor activities such as swimming, hiking or camping. 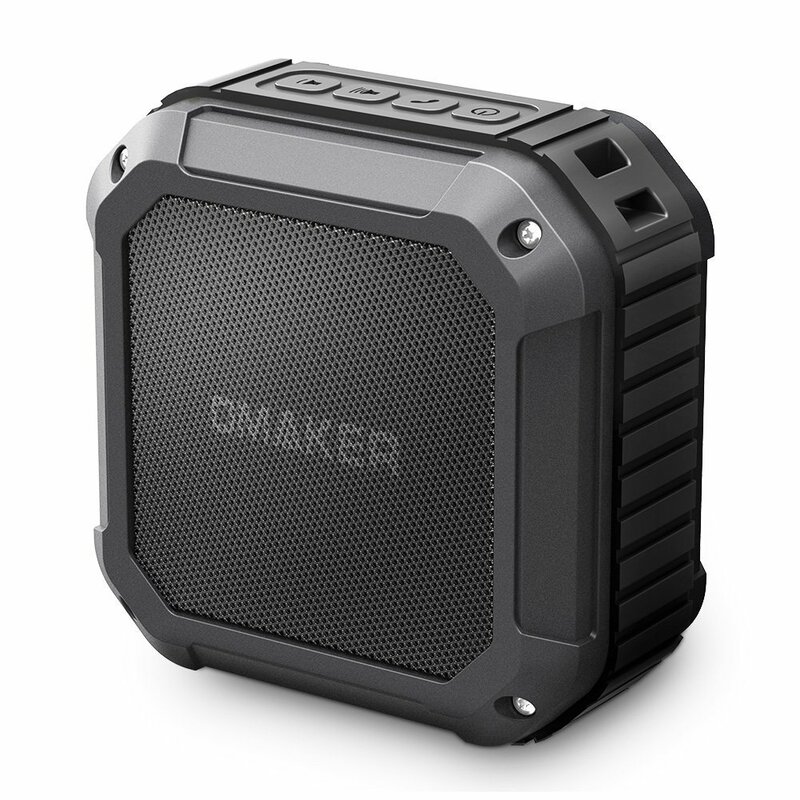 This durable, masculine-designed speaker provides a decent sound quality. Armed with 3-watt full range speakers and modern passive radiator, it gives you a well-balanced sound with a beating bass. The volume can effortlessly fill the room. Freely choose from camouflage, army green, black/orange, or black colors. It comes with a lanyard in the box that you can use as a hand strap or a loop to hang it anywhere. Pair it instantly with your audio source using a Bluetooth connection. You can also instantly pair your NFC-enabled devices in just a tap with its armed NFC technology. Maximum Bluetooth distance for this speaker is 33 feet. Plug in the included 3.5mm jack audio cord if there’s no Bluetooth on your desired audio source. With a 4.4 star rating and tagged as a “Best Seller” for outdoor speakers in Amazon, this wireless speaker under $50 can never go wrong. Its most highlighted feature is its capacitive touch control that lets you manage tracks and volume in just a swipe. It comes in a small and lightweight structure which makes it easier to carry everywhere. Presented in matte black, pearl white, and ocean blue colors for you to choose. 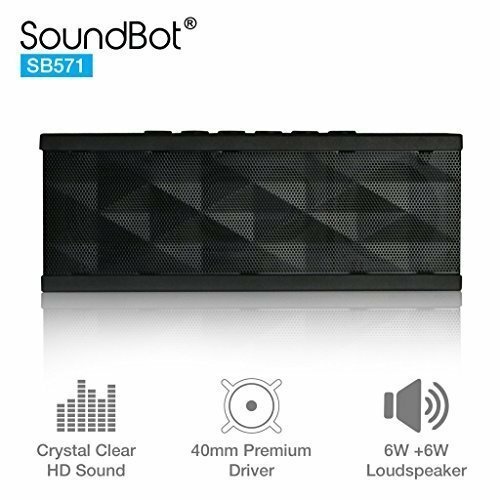 With the 12-watt stereo and dual high-performance drivers, it delivers high-definition stereo audio quality with a room-filling volume and booming bass. Equipped with Bluetooth 4.0 technology, you can pair your Bluetooth-enabled devices with no sweat. If you’re tired of the usual round or four-sided build of most wireless speakers, then the Cambridge SoundWorks Oontz Angle 3 can give you the change you want. It’s a triangular and elongated wireless speaker under $50. It produces well-harmonized audio quality with its two acoustic drivers that are aimed upward for better listening experience. It guarantees an exceptional bass response from its passive bass radiator design without distortion even at maximum level. 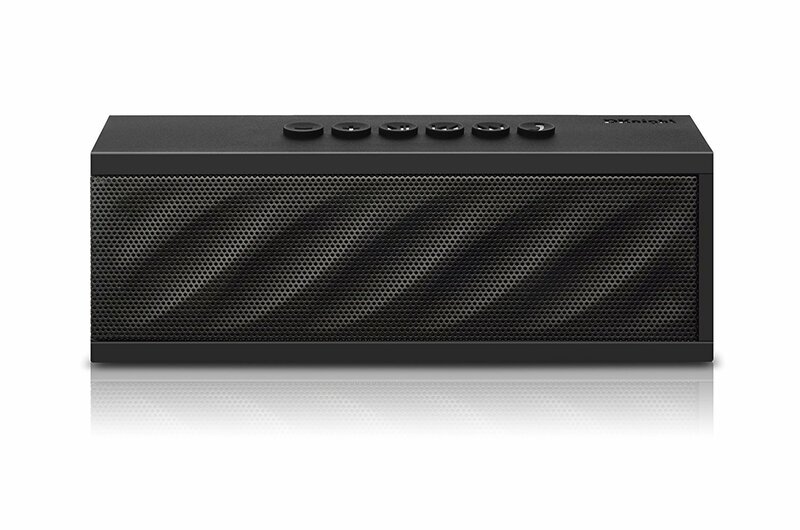 Pair in a tap any Bluetooth-enabled device to this wireless speaker. However, if your audio source a is a non-Bluetooth device, just connect it to the speaker using the 3.5mm cable provided. You can also answer calls right away since it has a built-in microphone. On the front part of the speaker lays the playback and volume controls as well as the play/pause button. Search this headphone on Amazon, and you’ll find a 4.3 rating and a “Best Seller” tag for Speaker Surround Kits. The pretty good reviews prove its superb performance despite the low price. Enjoy seamless music streaming using Bluetooth version 4.0 or one-touch pairing with Near Field Communication (NFC) technology. 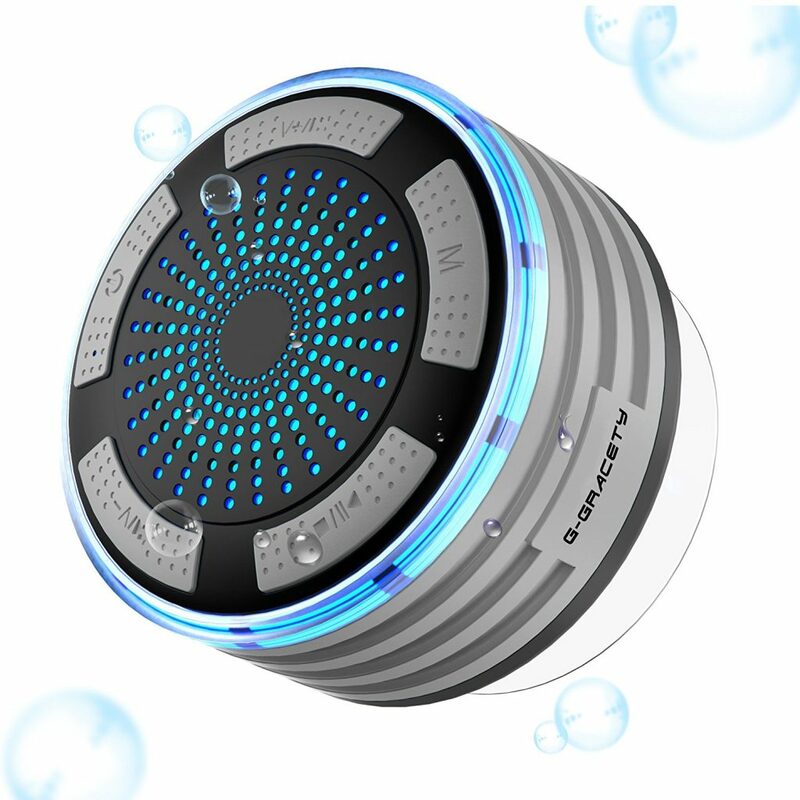 It’s a waterproof speaker, meaning it can resist water splashes or droplets, but you can’t completely immerse it. It has a sand proof design too. These features make this speaker more ideal to use whether indoors or outdoors. You can find the controls on the top panel of the speaker. This wireless speaker costs under $20 but still emits crystal-clear audio quality with a sturdy build. With its 6W + 6W high-definition loud speakers and integrated 40 mm drivers, you can enjoy your music tracks indoors or outdoors. It has an impressive volume that blocks the room with sound. The stylish and rectangular design snuggles just right into your bags. It has six buttons on the top panel for answer/end calls, skipping tracks, play/pause, and volume adjustments. Seamless streaming is available using Bluetooth 3.0 with a 33 feet connection range. For non-Bluetooth devices, there’s an AUX port where you can connect the speaker and the device using a 3.5mm cable. If you can find a wireless speaker under $50 that gives you a quality audio experience, then you can as well not spend more buying overpriced speakers from well-known, expensive brands. Sometimes, it’s not the cost that makes your wireless speaker better but its audio value. And sometimes you can be lucky to find a high-quality wireless speaker at a low cost that equals the sound of other higher priced manufacturers.